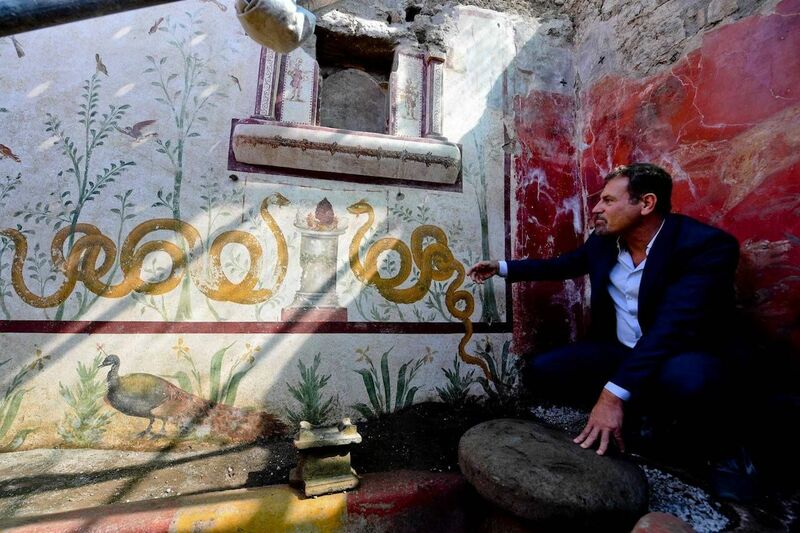 Pompeii, Italy is already world famous for its exceptionally preserved ruins buried under several feet of ash, but soon there may be a brand new reason to visit the ancient Roman city. Excavators working in the area have just uncovered a 2,000-year-old shrine, surrounded by elaborate wall paintings, including imagery of plants, snakes, and a peacock. It is believed that the colors have been so well-preserved thanks to the volcanic ash and rocks from the Mount Vesuvius eruption in 79 AD. They shielded the shrine from light and water, allowing it to remain in complete darkness for over 2,000 years. The site was first excavated in 1748, though early excavations were detrimental to the ruins. Archaeologists often failed to handle their findings with care, and in many cases, it can be difficult to tell what paintings originally looked like. 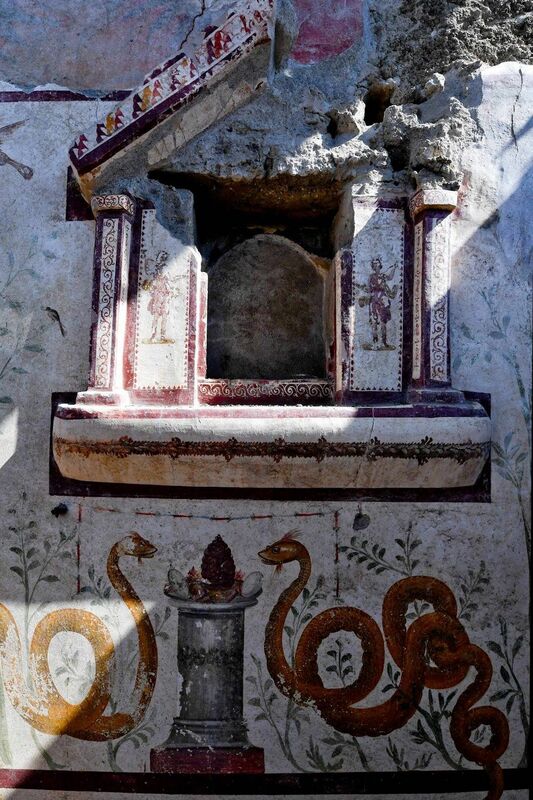 That’s why this particular set of wall paintings, in their original colors, is a significant discovery. 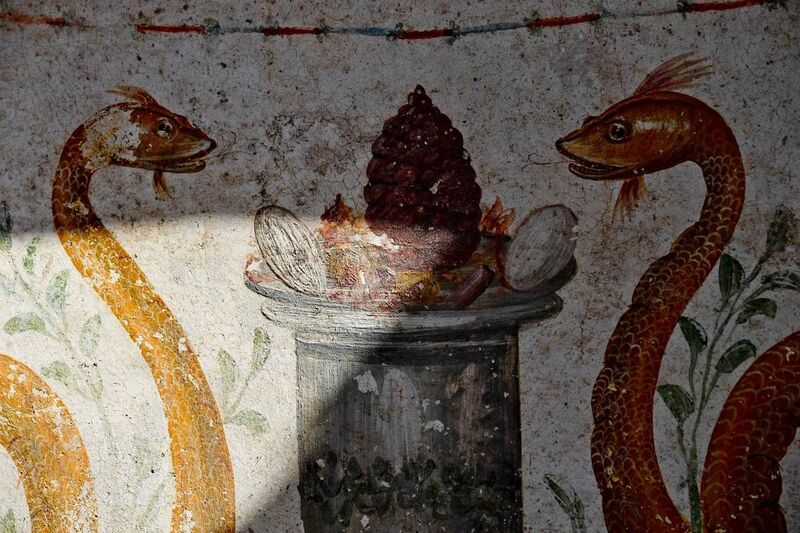 One-third of Pompeii still remains unexcavated.